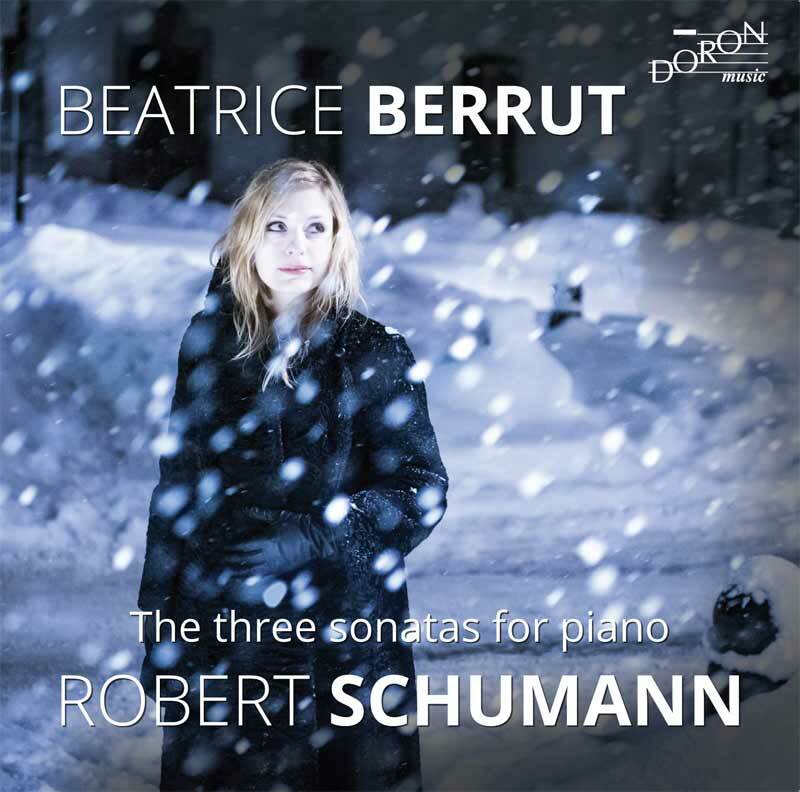 The selected discography of Beatrice Berrut is a vivid example of elegant piano play and acoustic marvels of compostions. Her artistic work captures the oeuvres of Liszt, Bach, Schumann, Mahler and many more. If not witnessed in concert, it is said to be the second best way to get to know the Swiss concert pianist: listening to her recordings. Athanor: de התנור (ha tanur), the furnace used by alchemists in their search for the philosopher’s matter is indispensable for the maturation of the Great Work. By extension, this furnace, in the shape of a matrix, has become a symbol of their quest for perfection and the absolute. And that is where Liszt agreed with the alchemists. Eternally dissatisfied, he said that ‘the persistent search for the best possible characterises the true artist’. This search not only had an aesthetic dimension but was also of a moral order, as attest his homage to Paganini: ‘The artist’s role is to awaken and maintain in souls the enthusiasm and passion of Beauty, so close to the passion of Good’. Why bring together these three works on the same programme? All three were, of course, written for piano and large orchestra. However it seems to me that there is a strong link between them beyond form. Their joint particularity is their very long gestation: it took 23 years between the first sketch and public performance of the first Concerto, 22 years between the earliest sketches and definitive publication of the second, and 20 years between the rough draft of Totentanz and the version recorded here. The twenty-odd years’ gestation that these works spent in Liszt’s athanor was evidently determining: without those years of doubt and constant rethinking of the first sketches, these concertos would never have come down to us in such accomplished form. Further proof – if any were necessary – that the creative process never ceased are the annotations in Liszt’s hand on the study scores of his student Hans von Bülow. Even once it was published, the work constantly evolved, and Liszt, admitting to having ‘the mania of variants’, traced measures, added notes, and thereby showed us that the path never ends . 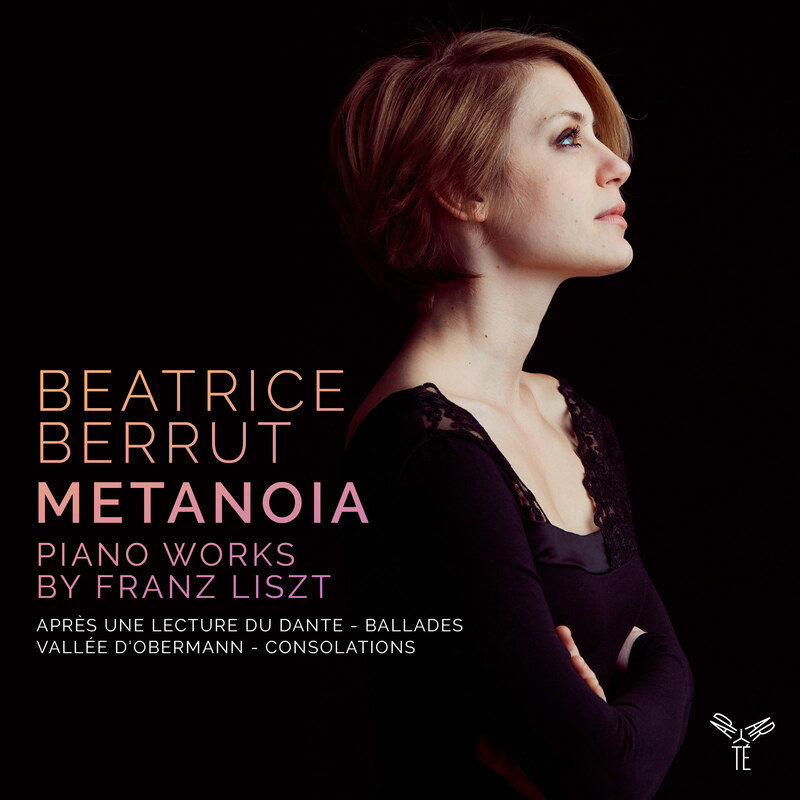 . .
Swiss concert pianist and Bösendorfer Artist Beatrice presents her latest album “Metanoia”, featuring chosen works by Franz Liszt. It will will take you on a journey through the mystical universe of the Hungarian composer, where both tremendous virtuosity and moving sincerity will be found. METANOIA (from the Greek μετάνοια): a mental transformation, a reorientation of one’s way of life. In Carl Jung’s psychology, metanoia indicates a spontaneous attempt of the psyche to heal itself of unbearable conflict by melting down and then being reborn in a more adaptive form. 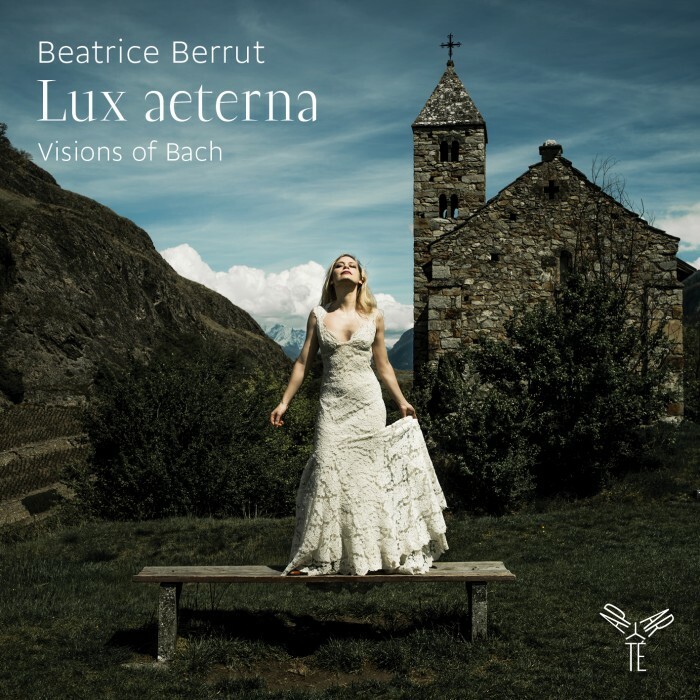 The fullness and diversity of the piano sound that Beatrice Berrut produces on the piano is no less impressive than the virtuoso magic she unfolds. The world achieves a balance through those conflicting values. And he gives us too the right to be contradictory, inconsistent in our enthusiasms, changing in our moods. There is clearly a parallel between the metanoia, or transformation, that is to be observed in the works I have chosen for this programme – beginning with a struggle in the flames of Dante’s Inferno and ending with the contemplative ecstasy of the Consolations – and the radical shift in orientation that took place in the composer’s life: from seducer to canon, from a composer of rhapsodies to the author of the Bagatelle sans tonalité. The religious meaning of metanoia – a spiritual conversion – is also represented by his taking of holy orders and the episodes in his works that express religious devotion: the fourth of his Consolations, for instance, which is to be played “avec dévotion”. Liszt’s music is very complex in its message, and technically very demanding. Tackling it is like being faced with a notoriously difficult mountain peak, the scaling of which demands great effort and involves moments of loneliness and desolation. But all the suffering of the ascent is then rewarded by the exhilaration of achieving the summit. We are left deeply transformed, enriched by what may prove to be a life-changing experience. What could be better than a life, whose achievements still delight people almost two centuries later? The Swiss pianist Beatrice Berrut ravishes the ear with the help of a superb Bösendorfer and first-rate recording. (…) This outstanding release ends with a veiled tribute to Bach, in the form of Thierry Escaich’s Trois études baroques. Great fun. Highly recommended. I have deliberately chosen transcriptions by Busoni, Siloti and Kempff over works specifically scored for harpsichord because I feel these transcriptions build a bridge between Bach’s time and our own. It is proof positive of the universality and timelessness of his music that it can speak to all generations. Brilliant from start to finish, the collection of three Sonatas for piano by Robert Schumann represents some of the summits of Romantic piano music – yet, except perhaps for the Second, than Carnaval or the Fantasy which virtuosos love to include in their programmes. One is always swept away by the impetuous rush of the young German artist, as much as by the inherent urgency that touches the listener so directly, following in the footsteps of Beethoven (in terms of the form, albeit very freely) and Schubert (in its Romantic content). 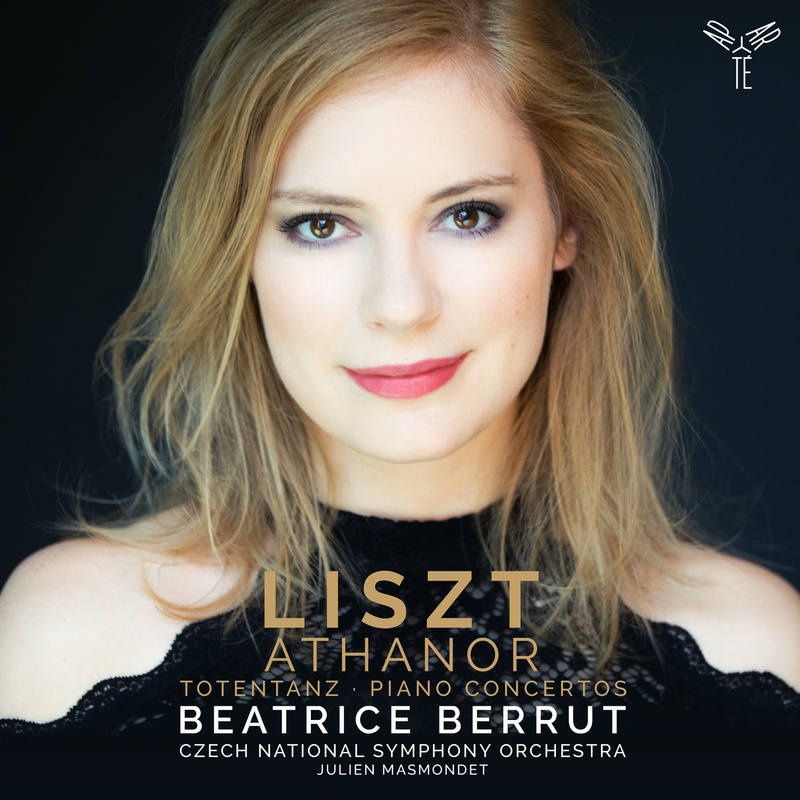 This is a mostly impressive debut recording by the Swiss pianist Beatrice Berrut (…) she has the work’s considerable technical difficulties entirely under control (…) She plays the second movement of the Third Sonata as expressively as Horowitz. These three sonatas were written in the 1830s, a period that saw Schumann’s genius flower, but also saw dramatic biographical events: the death of his sister Rosalie, a paralysis of his right hand that put an end to his promising career as a pianist, a romantic liaison that left him with an attack of syphilis, and a broken engagement with the daughter of a rich Bohemian baron… At the end of 1835, his love for Clara Wieck, thwarted by her father Friedrich Wieck, forced the couple to take legal action in order to marry, at last, in 1840. The personality of this young woman, born in 1819, haunts these three works. Send light deep into human hearts – the artist’s role!